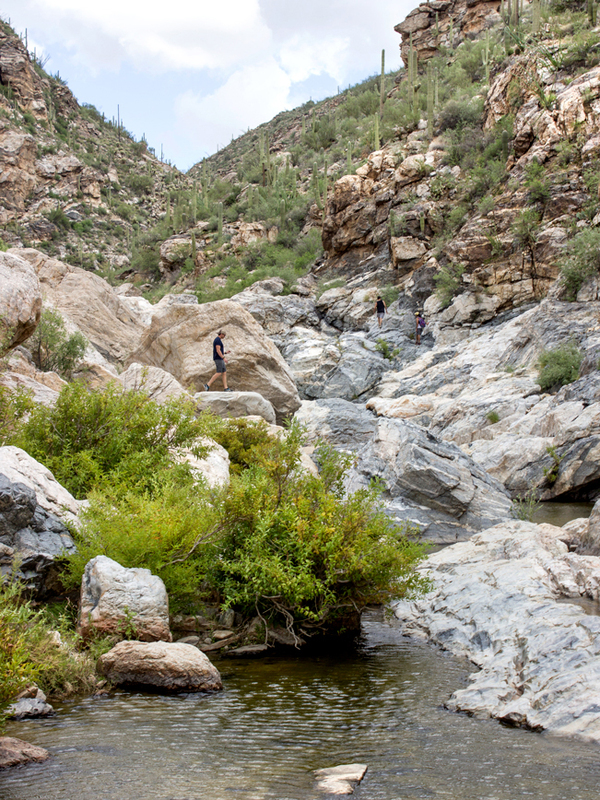 Tanque Verde Falls Trail: Waterfalls, pools & boulders in Tucson's Ricon Mts. 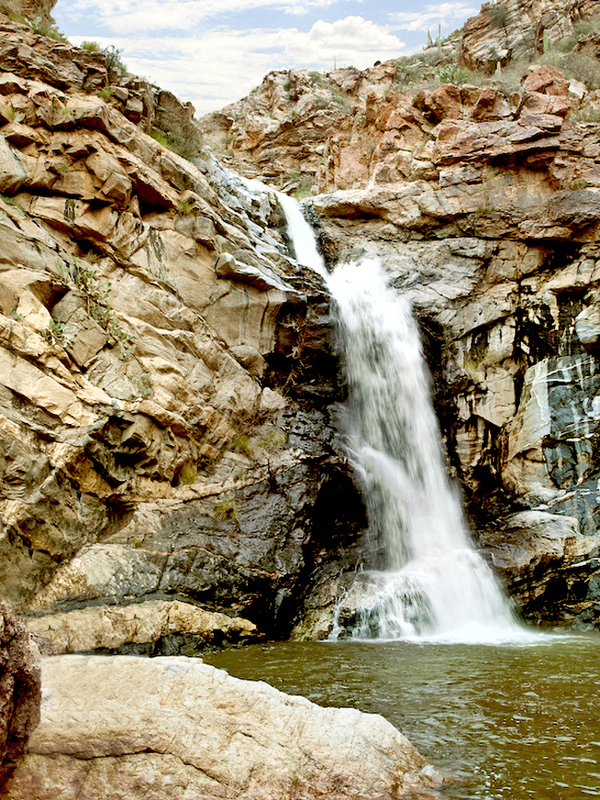 Find splash-worthy pools, a canyon stream & seasonal falls on this short, rocky trail. 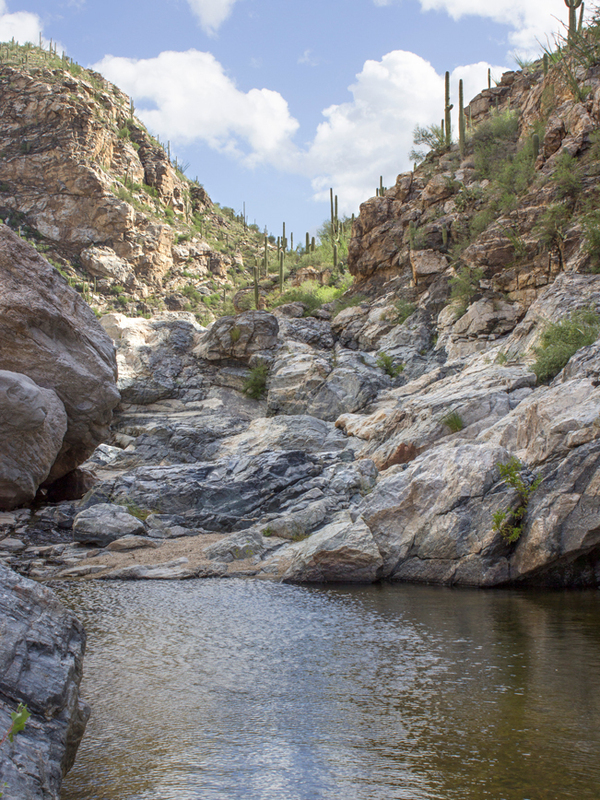 Swimming season or not, Tanque Verde Canyon is a fantastic area to explore! With its seasonally-flowing waterfalls, huge granite boulders and high canyon walls, it’s a narrow desert oasis. Forcing its way out of Tucson’s Ricon Mountains, the Tanque Verde River cuts a dramatic path. Colorful canyon walls, seasonal waterfalls, over-sized boulders and pools of water mark its route. 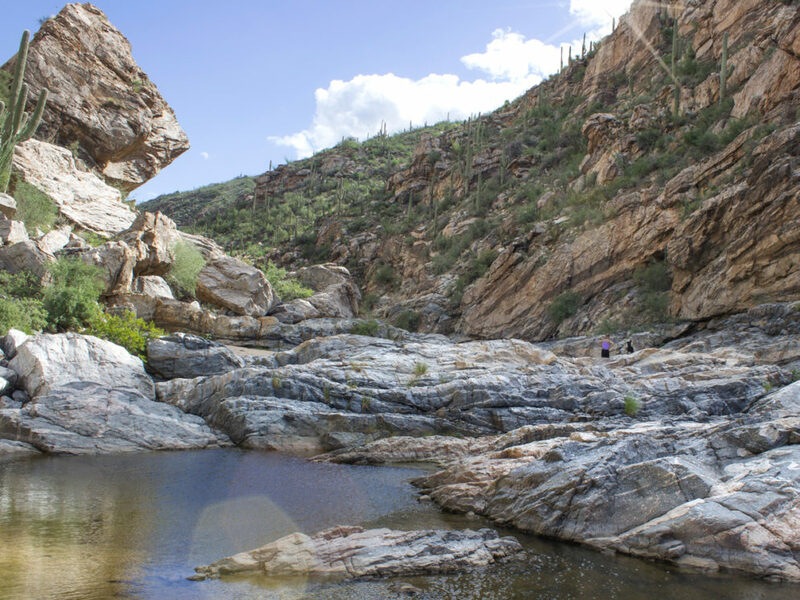 The lower Tanque Verde Falls Hiking Trail accesses this river via a short 0.5-mile hike down Tanque Verde Canyon. Long views over the canyon and mountains make this hike pretty sweet from the start. The real adventure begins once the trail reaches the canyon floor. The remaining 1-mile hike is unmarked, following the river upstream. 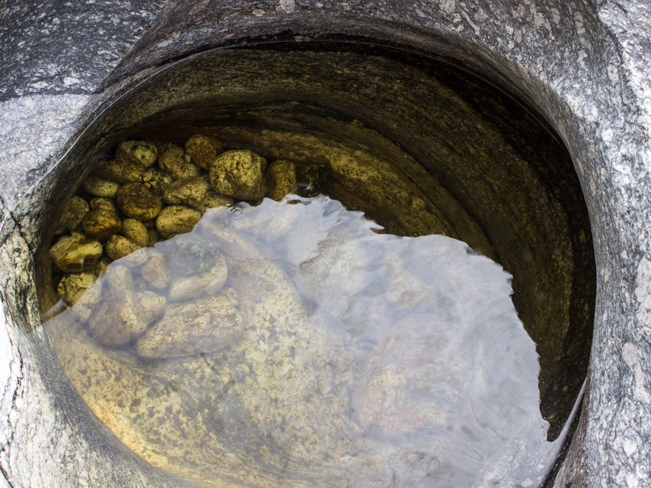 Scrambling up water-smoothed granite boulders, along uneven banks and through pools of water is required! The reward? During wet seasons two large waterfalls cascade through the canyon. The first is 30′ high. And the second is 75′ high, sporting an ample swimming-hole beneath! 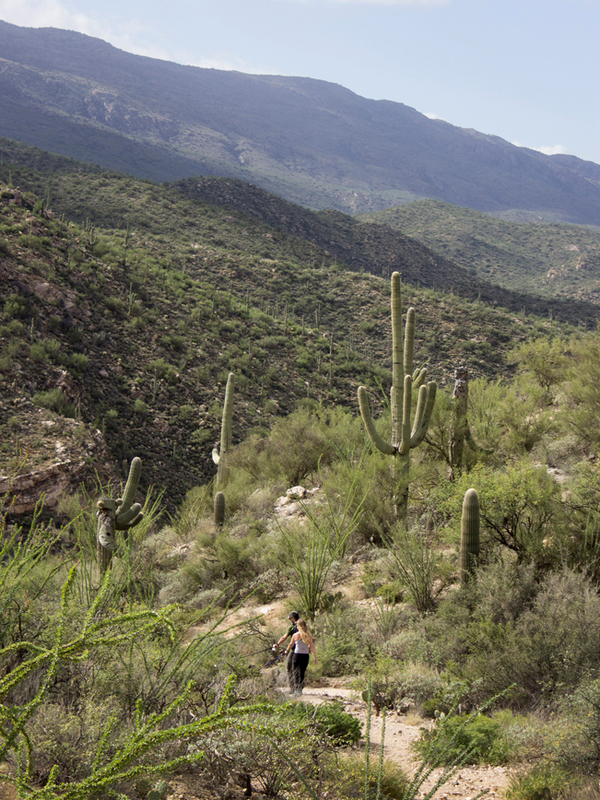 Whether the fall is flowing or not, the rugged beauty of the Tanque Verde canyon is a blast to explore. Total Nerdery The Tanque Verde Canyon gets plenty of use in Summer. And some people like to enjoy it “au naturel.” You’ve been informed :). WARNING: Keep your eye open for weather, especially during monsoon season! Flash floods can roll through quickly and dangerously. Click here for a video of the canyon & falls. Directions From the AZ-10 (in Tucson) take exit 257 east onto Speedway Blvd. Drive 12.4 miles on Speedway Blvd. then turn left / north onto N. Houghton Rd. Take N. Houghton Rd. for 1.1 miles, then turn right/ east onto E. Tanque Verde Rd. Continue on E. Tanque Verde Rd., which becomes Reddington Rd., for 6.7 miles. The Tanque Verde Falls Trailhead parking lot is on the left / north side of the road, a short ways after it becomes gravel.